How’s Pakistani economy doing? Is it gaining strength? How are the major economic indicators looking? What are Nawaz Sharif government’s economic priorities? How has it allocated spending in budget 2016-17 presented to National Assembly by Finance Minister Ishaq Dar? Why does Pakistan rely almost entirely on indirect taxation to raise revenue? Why is there such disproportionate burden for revenue placed on the poor and the middle-income Pakistanis? Why is the taxation system in Pakistan so regressive? What needs to be done to broaden the tax net to increase revenue and make the taxation system more fair. What should the provincial governments do? Should they impose at least a modest agriculture income tax and various service taxes to raise revenue? How did the Indian National Investigation Agency conclude that Pakistan and its agencies had no role in Pathankot incident in India? Why are they now backtracking from this conclusion? What evidence of India-Pakistan border breach do they have to implicate Pakistani nationals in the incident? Or is it just Indian media hype, part of the Indian government propaganda by some elements to unfairly malign Pakistan? What are Donald Trump’s and Hillary Clinton's strategies for the general elections in November 2016? Can Trump win by attacking minorities and women? Why the did Trump so personally and viciously attack US Federal Judge Gonzalo Curiel and New Mexico Governor Susana Martinez? Will Hillary’s strategy of questioning Trump’s temperament to be US president work? Will she use fear of mercurial Trump’s potential actions as president with his finger on the nuclear button to scare off voters from the Republican candidate? Pakistan Economy & Budget; NIA Pathankot Report; Hillary v Trump from Ikolachi on Vimeo. INVESTORS SHOULD POKE AROUND for opportunities in these markets in Southeast Asia and Eastern Europe rather than in Latin America. Pakistan: MSCI says it will announce a decision this month on reclassifying Pakistan from a frontier market to emerging market. Its GDP is expected to grow at a 4.7% clip in the 2016 fiscal year, and its leaders are discussing economic progress with the International Monetary Fund as a $6.6 billion loan package expires this year. The Global X MSCI Pakistan ETF (PAK), while up 13% this year, is down about 5% over the past 12 months. India: The health of the economy under Prime Minister Narendra Modi, who is set to visit the U.S. this coming week, defies anxiety about bad bank loans and doubts about India’s recalibrated GDP calculations. Standard & Poor’s lowered its credit ratings on Indian Overseas Bank and Bank of India last week, but expects the government to continue to infuse state-run banks with capital. The Reserve Bank of India recently eased restrictions on foreign ownership of private lenders, which should help weaker banks. We reiterate our February recommendation, HDFC Bank (HDB), up 6% this year. Central and Eastern Europe: These economies are likely to see 3% annual growth and outpace Russia, where the economy is set to slowly recover over the next year, according to Capital Economics. The firm expects Romania’s economy to be among the region’s best performers in 2016. Poland may grow at a 3% clip this year, but political turmoil and inflation bear watching. The SPDR S&P Emerging Europe ETF (GUR) is up 13% so far this year, despite a heavy dose of Russian and Turkish assets. Where is caution appropriate? Argentina. Wells Fargo last week suggested avoiding Argentina’s stocks and bonds as the economy contracts under the weight of needed economic reform. The country devalued its currency, inflation spiked, and agricultural exports are suffering, with customer Brazil in sorry shape. The Global X MSCI Argentina ETF (ARGT) is up 17% in 2016. Of course, all emerging assets will suffer if investors make a fast exit from developing-country bond markets, which have grown exponentially since previous cycles. But it’s likely the Fed’s trumpets have already heralded that move. The GOP's deepest fear: A Barry Goldwater effect that could last far longer than Trump's political aspirations. Goldwater, the Arizona senator who was the 1964 GOP nominee and a leader of the conservative movement, alienated a generation of African-American voters by opposing the Civil Rights Act -- opening the door for Democrats to lock in their support for decades. Republicans fret that Trump could similarly leave a stain with Latino voters. "I am concerned about that," Senate Majority Leader Mitch McConnell, R-Kentucky, said Sunday. "America is changing. When Ronald Reagan was elected, 84% of the electorate was white," McConnell said on NBC's "Meet the Press." "This November, 70% will be. It's a big mistake for our party to write off Latino Americans. And they're an important part of the country and soon to be the largest minority group in the country." "I hope he'll change his direction on that," said McConnell, who first made the Goldwater comparison last week in an interview with CNN's Jake Tapper. That hasn't happened yet. In interviews Sunday, Trump wouldn't back away from his assertion that Curiel's parents' birth in Mexico has left the judge angry over Trump's proposal to build a wall along the U.S.-Mexico border and biased in the legal case over Trump University. Trump even went further, saying on CBS' "Face the Nation" that he'd have similar concerns over a Muslim judge, since he has proposed banning all Muslims from entering the United States. Trump's remarks led to condemnations from the same leading Republicans that in recent weeks have embraced him -- and accepted that the party's fate in November is inextricably linked to his. "I don't agree with what he had to say," McConnell said. "This is a man who was born in Indiana," McConnell said of Curiel. "All of us came here from somewhere else. Almost all Americans are either near-term immigrants like my wife, who came here at age 8 not speaking a word of English, or the rest of us whose ancestors were risk-takers who came here and made this country great. That's an important part of what makes America work." House Speaker Paul Ryan, just a day after announcing his endorsement of Trump, bashed him on a Wisconsin radio station. "Look, the comment about the judge, just was out of left field for my mind," Ryan said Friday on WISN in Milwaukee. "It's reasoning I don't relate to, I completely disagree with the thinking behind that." The criticism from McConnell and Ryan was predictable: Both preside over GOP majorities that are threatened thanks to competitive races in Latino-heavy states like Arizona, Nevada and Florida. More surprising was the condemnation from Gingrich, who has transparently jockeyed for a spot on Trump's ticket. "I don't know what Trump's reasoning was, and I don't care," Gingrich told The Washington Post. "His description of the judge in terms of his parentage is completely unacceptable." Gingrich was even sharper on "Fox News Sunday," calling Trump's remarks "inexcusable." Farmers’ incomes have fallen more than 25 per cent in the financial year to the end of June, according to projections by the country’s central bank. While partly due to a global plunge in commodity prices, critics say the problem has been exacerbated by the failure of Prime Minister Nawaz Sharif’s government to step in with support, and that the latest incentives for farmers are inadequate. Meanwhile, the volume of Pakistan’s cotton crop has crashed by almost 30 per cent, spurring the first contraction in the value of the country’s agricultural output for more than two decades. At least 60 per cent of Pakistan’s 200m people rely directly or indirectly on farm incomes. One western economist in Islamabad, who declined to be named, warned that a degraded irrigation network and dysfunctional research community was also hampering Pakistan’s agricultural sector. “The irrigation system in places is so bad that farmers haven’t received even a drop of water from a canal just a few miles away,” he said. “The management is terrible”. The focus on farm incomes comes just ahead of the conclusion of an IMF programme this year and despite an economic recovery that has seen gross domestic product growth rise to a forecast 4.7 per cent this year, up from an annual average of about 3 per cent during the five years to 2013. Helped by a global drop in oil prices and increases in domestic electricity and gas tariffs, Mr Sharif’s government is expected to bring its annual fiscal deficit to about 5 per cent of GDP this financial year, down from 8.8 per cent when the government took charge in 2013. But analysts warned that the budgetary discipline enforced by the IMF may be jettisoned when the loan programme ends in September. The bank is targeting an advance to deposit ratio of at least 45 percent in 12 months from 35 percent in the first quarter, according to Shazad Dada, chief executive officer of Standard Chartered Bank Pakistan Ltd. The industry as a whole will see the same trend, he said, with ratios rising to as much as 70 percent in three years from 46 percent in 2015. Pakistan’s Prime Minister Nawaz Sharif is seeking to boost economic growth to its fastest pace in more than a decade after achieving stability through an International Monetary Fund loan program that averted an external payments crisis in 2013. South Asia’s second-largest economy may prove to be a bright spot for Standard Chartered, which posted its first annual loss in more than a quarter of a century last year and is seeking to restructure or jettison about $100 billion of assets. The company declared $1.34 billion of impairment losses on loans in neighboring India last year, a legacy of its now-abandoned policy of rapidly expanding in emerging markets. In Pakistan, finding quality assets and exercising discipline in extending credit will be key to driving the business, Dada said. His unit’s operating profit climbed to 15.4 billion rupees ($147 million) last year, almost triple the amount in 2010, data compiled by Bloomberg show. For Pakistan, the risks for banking are associated with “suspicious money” being put through lenders for illicit purposes such as terrorism financing, corruption and human trafficking, Dada said. The country placed in the lower half of Transparency International’s 2015 Corruption Perceptions Index with a ranking of 117th out of 168 countries tracked by the organization. Standard Chartered had boosted its scrutiny of money flows, Dada said. The unit he oversees has more than doubled financial-crime compliance staff to 57 this year from 23 in early 2015, he said. The London-based lender has been enhancing controls on money laundering, bribery and other offences and has been operating under deferred prosecution agreements with U.S. authorities since 2012, when it settled cases related to money-laundering failures and breaches of U.S. sanctions against Iran. The bank’s Pakistan shares have fallen 15 percent this year, compared with the benchmark index’s 9.5 percent gain. Standard Chartered’s stock in London lost 3 percent in that time. Pakistan’s private sector is being tempted to borrow after the country cut its discount rate by the most in Asia last year, and by 375 basis points in the past two years, after the drop in oil prices. The nation’s central bank unexpectedly cut its benchmark interest rate to 5.75 percent this month before the government presented its budget for the new financial year last week. Pakistan’s consumer confidence level rose to the highest level in eight years in the March quarter, according to New York-based Nielsen, which tracks the data. Outstanding private-sector loans in Pakistan climbed about 9 percent to $35.4 billion as of April from a year earlier, central bank data show. “The rise in loans tell you the economy is picking up steam and banks mean real business after heavily investing in government securities for years,” said Yawar uz Zaman, head of research at Karachi-based Shajar Capital Pakistan Pvt. The cement industry of Pakistan is turning towards power generation, which would not only cater to their needs but would also supply electricity to the national grid. The outlook for the Pakistan cement industry is positive with expansion expected over the next few years. Key reasons include improved sector fundamentals backed by higher demand, cost efficiencies driven by lower international coal prices and captive power generation reducing energy costs, capacity expansions and low to minimal risk of cement price destabilisation. As a result, cement demand is forecast to grow by at least eight percent over the next five years (FY16-21) on the back of an average GDP growth of 4.7 percent. The Invest and Finance Securities Limited, while reviewing the performance of seven local cement companies, stated that on the flip side, weakening exports (16 percent of total cement dispatches during 9MFY16) and electricity/gas tariff hikes have marginally impacted the industry dynamics. As part of the China-Pakistan Economic Corridor initiative and an increased focus on infrastructure spending by the Pakistani government, around $44 billion in transport infrastructure and energy-related construction in the next 15 years - cement demand is predicted to be robust. by FY19. Lucky Cement is setting up a 2.4Mta plant in Punjab, reflecting an investment of around Rs 21 billion. Acquisition of land and supplier confirmation is expected to conclude by the end of FY16. The expansion would take the company's existing capacity to over 10Mta. It would also bring a further 10MW waste heat recovery (WHR) power plant online by the end of 2016 besides expanding its international footprint in Congo and Iraq. Meanwhile, DG Khan Cement is currently undertaking expansion in the southern zone with a 2.6Mta cement plant that is expected to come online in FY19. The company would also bring a 30MW coal-fired power plant and pursue further expansion in the south by FY18. Maple Leaf Cement, which has a cement production capacity of 3.4Mta in Iskanderabad District, Mianwali, is expected to bring a 40MW coal-fired power plant online by the end of FY17. Fauji Cement Company's 3.4Mta plant is situated near Jhang Bahtar village, tehsil Fateh Jang, District Attock. The company started power generation from its 12MW WHR plant back in May 2015 and would reduce the cement producer's reliance on the national grid for its power supplies. Cherat Cement Company Limited is currently carrying out a 1.3Mta expansion at its 1Mta plant at Lakrai Village, Nowshera. Following commissioning in FY17, the project would take the total nameplate capacity to 2.3Mt. In addition to its existing 6MW WHR plant, the company is undertaking installation of another 6MW WHR plant at its new production site. Pioneer Cement Limited announced plans to install a 12MW plant at Chenki, Khushab, which would have an installed capacity of 2Mt. The company announced its plan to install a 12MW WHR plant at an estimated cost of Rs 1.5bn. The plant is expected to meet around 38 percent of the company's total electricity requirement resulting in enhancement of the margins. Pakistani stocks closed higher on Monday in a volatile trading session ahead of a much-anticipated MSCI announcement on whether the bourse would be reclassified as an emerging market, analysts said. The benchmark 100-share index of the Pakistan Stock Exchange finished 0.11 percent higher at 36,979.96. The index clocked in an intraday range of more than 440 points, hitting a low of 36,637.81 in early trading before bouncing back towards the end of the session. "Market sentiment remained sombre today, in line with sentiment seen in global equities and commodities ahead of central bank meetings in the U.S., U.K. and Japan this week," said Gohar Rasool, head of international sales at Inter Market Securities Pvt Ltd.
MSCI is due to announce whether it will be reclassifying Pakistan as an emerging market on Tuesday. The stock exchange was dropped from the MSCI Emerging Markets Index in 2008, but Pakistan has in recent months launched a final push to get back in so it can vastly expand its pool of potential investors. Among index heavyweights that gained on the day were Engro Fertilizers Ltd, MCB Bank Ltd and Fauji Fertilizer Company Ltd.
Oil stocks took a hit as international crude oil prices declined. Oil and Gas Development Company Ltd closed down 0.93 percent while Pakistan Oilfields Ltd was down 0.75 percent. Traded volume on the day stood at 104.7 million shares, with traded value at 6.67 billion rupees ($63.83 million). Stock indexer MSCI said Tuesday it won’t include mainland-Chinese A shares in its key emerging market index. MSCI also said that Pakistan would be reclassified as an emerging market, coinciding with MSCI’s May 2017 semiannual review. The Deutsche X-trackers Harvest CSI 300 China A-Shares exchange-traded fund (ASHR) slipped 2% after hours after rising more than 1% in regular trading Tuesday. The iShares China Large-Cap ETF (FXI), the largest U.S. ETF invested in Chinese equities, was also lower, down 0.5%. The Global X MSCI Pakistan ETF (PAK) was not moving after hours. The A-shares ETF is down 17% this year, while the larger China Large-Cap fund is down more than 6%. Pakistan stocks have rallied on the potential for inclusion, with a 12% rise so far this year. Surging #California #economy grew 5.7% to $2.46 trillion making it the world’s 6th largest in 2015. California, along with Oregon, had the nation’s highest rate of economic growth in 2015 and has vaulted to sixth largest economy in the world. The federal Bureau of Economic Analysis says that California’s economy expanded by 5.7 percent in 2015, second only to Oregon’s 5.9 percent in nominal terms and tied with Oregon at 4.1 percent in constant dollars. The BEA pegged the state’s economic output last year at $2.46 trillion and with several of its international rivals, particularly Brazil and France, experiencing slumps, that would place California at sixth place, behind only the U.S., China, Japan, Germany and the United Kingdom. The state had been the eighth largest economy, and passed France and Brazil with the release of the latest report. The BEA data were released just as Gov. Jerry Brown and legislators are finalizing a 2016-17 budget that’s based, in part, on recent declines in revenue growth and Brown’s oft-voiced warnings that the state is overdue for recession after a very long recovery from last decade’s Great Recession. Brown’s warning is rooted, in part, on a global economic slowdown because the state’s economy is highly interconnected with that of other nations. The most recent estimates of global economic trends say that while the U.S. and China both saw gains in 2015, Japan, Germany and the United Kingdom faded slightly, and the economies of France, Italy and Brazil dropped sharply – in Brazil’s case by nearly 30 percent. In 2014, California and Brazil were virtually tied, but by 2015 California’s economy was more than a third larger. In broad BEA categories, California’s finance and insurance sector was the largest in 2015 at $535 billion, with government at $300 billion and manufacturing at $278 billion following. Agriculture, once an economic mainstay, was just $39 billion. Pakistan collected 3,104 billion rupees ($29.7 billion) in taxes in fiscal year 2015/16, the finance ministry said on Friday, the first time it has met its tax revenue target in a decade. Last year, the government collected 2,588 billion rupees in taxes but missed its target by 9 percent. Tax collection has been one of the biggest challenges facing successive governments who have promised to rein in tax evaders but faced fierce resistance to change, including from the .. The total liquid foreign reserves held by the country stood at US$21,765.8 million on June 24, 2016, said weekly forex reserves report issued by the State Bank of Pakistan (SBP) here on Thursday. Foreign reserves held by the SBP:US$ 16,819.6 million, Net foreign reserves held by commercial banks:US$ 4,946.2 million, Total liquid foreign reserves: US$ 21,765.8 million. During the week ending June 24, 2016, SBP's Liquid FX Reserves increased by US$ 4 million to US$16,820 million, compared to US$16,816 million in the previous week. Pakistan procured 6 million tonnes of wheat from the recently concluded wheat harvest, significantly lower than the 7.05 million tonnes target that was announced prior to the onset of harvest, but approximately 1 million tonnes higher than a year ago. The U.S. Department of Agriculture’s (USDA) Foreign Agricultural Service (FAS) said in a July 1 report. Total procurement is just 24% of the estimated total crop. At this point, Pakistan is effectively cut off from the international wheat market as high procurement prices make exports uncompetitive and a high tariff prevents imports. Over the past four years, public sector wheat procurement has ranged between 5 million tonnes to 6 million tonnes annually. With around 4 million tonnes in carryover stocks this year’s procurement will boost public stock levels to around 10 million tonnes shortly after the start of the marketing year, similar to the levels reached during the past two years. The estimate of 2016 wheat production is unchanged at 25.3 million tonnes. About 25% of Pakistani wheat growers produce a marketable surplus that amounts to an estimated 50% of the crop or 12 million tonnes to 13 million tonnes. The government and private sector typically split the surplus with each purchasing about half of the marketed crop, although, as mentioned above, government procurement was just 24% of the crop this year. The balance of the crop remains on farm for local consumption. The government’s role in the procurement of the harvest is generally sufficient to influence market prices, creating an effective price floor in the domestic wheat market. Pakistan, through the provincial food departments and the federal Pakistan Agricultural Storage and Services Corporation (PASSCO), procures wheat from farmers at the support price and then releases wheat for sale to flour mills at the government’s fixed issue price. The system aims to protect farmers from price fluctuations and ensure a minimum return to farmers and encourages wheat production. The Pakistani government maintained the wheat support price for the market year 2016-17 crop, at 1,300 rupees per 40 kilograms ($310 per tonne). The government spent approximately $1.8 billion for wheat procurement this year, much of it financed through loans that will be paid back when the wheat is sold to the private sector. Some wheat stocks are used to feed communities that have been displaced from their homes due to conflict and some is sold as flour at reduced rates to consumers via low-priced, government-run utility stores. Afghanistan has been the main wheat export market for Pakistan for many years mainly due to easy accessibility and traditional trade linkages between the two countries. Given the present trend, Pakistan’s market year 2016-17 wheat flour exports to Afghanistan are forecast to be 700,000 tonnes (wheat equivalent). The domestic wheat market has been insulated from imports by a 40% regulatory duty. With a high tariff and high domestic prices, Pakistan continues to be isolated from the international wheat market. The tariff is well below Pakistan’s bound tariff rate (the maximum tariff rate Pakistan can establish) for wheat of 150%. Consequently, Pakistan is not likely to import any significant quantity of wheat during market year 2016-17. Pakistan's primary energy consumption increased by 5.9 percent to 78.2 million ton oil equivalent (MTOE) in 2015, compared with 73.2MTOE in 2014 depicting higher economic activities. According to the statistical data of British Petroleum on energy use around the world, the primary energy consumption in China grew by 1.12 percent from 2014 to 2015 that has resulted in slowdown in China’s economy. India’s primary energy consumption increased by 5.1 percent during the same period which is lower than that of Pakistan. Indian GDP growth, though highest in the world remains much below the peaks it attained at the start of this decade. The fuels consumed for producing primary energy show that in 2014, Pakistan consumed 22.8MTOE of oil that increased to 25.2MTOE in 2015. Its natural gas use also increased from 37.7MTOE in 2014 to 39.0MTOE in 2015. The consumption of coal remained the same at 4.7MTOE in both years. According to the report, electricity consumption in Pakistan increased from 96.2 terawatt-h in 2008 110.0 terawatt-h in 2015. The increase was restricted to 99.3 terawatt-h till 2012; showing cumulative increase of 4 percent only, but in the next three years the consumption cumulatively increased by 10.7 percent of which 2.7 percent increase was in 2015 over 2014. Indian electricity consumption in comparison increased more robustly being 833.4 terawatt-h in 2008 that increased to 1,304.8 terawatt-h in 2015. India produces 45.5MTOE from natural gas, 407.2MTOE from coal that is 100 times more than the primary energy that Pakistan derives from coal. Its hydro electric generation is 8.6MTOE. It derives 15.5MTOE from renewable that is 30 times more than what Pakistan obtains from renewable. The primary energy obtained by China from natural gas is 177.6MTOE, from coal it is a whopping 19,203MTOE. Its hydro electric energy amounts to 254.9MTOE, nuclear 38.6MTOE and renewable 62.7MTOE. The renewable energy extracted by China is equivalent to 60 percent of the total energy produced in Pakistan. Bangladesh in 2008 consumed only 34.2 terawatt-h electricity that was almost 1/3rd of the power consumption in Pakistan. In 2015 the gap was reduced to 60 percent of the power consumed in Pakistan. Bangladesh is exporting much more than Pakistan despite low power use because it adds high value to its apparel. The power requirement of the garment industry is nominal when compared with spinning, weaving and processing that produce low value-added textiles exported by Pakistan. The electricity consumption in China increased to 5,810 terawatt-h in 2015 compared with 3495 terawatt-h in 2008. Coal, wind and solar energy are the cheapest source of energy around the world. Wind and solar along with hydro electricity are the cleanest energy fuels. China fulfilled 1,920MTOE of its energy needs from coal, India 388.7MTOE, and Pakistan only 4.7MTOE. Coal use for energy production is confined only to the private sector in Pakistan. Around 3,000MW coal based power plants are expected to be commissioned by 2019 after which share of coal in the energy mix would substantially increase. Wind power consumption in China was 41MTOE in 2015, it was 9.4MTOE in India and only 0.1MTOE in Pakistan. Solar power production in 2015 was 8.9MTOE in China, 1.5MTOE in India and only 0.3MTOE in Pakistan. Pakistan is also on the course to double its hydro electric production to over 16,000MW by the end of 2021. INDIA’S Hindu right is desperately seeking a role in the American elections even if it’s a walk-on appearance in a crowd scene. It asks if its right-wing friends from Israel can tip the balance in a keen American contest, why can’t the Hindu right be at least a cheerleader. After being rapped on the knuckles by Barack Obama a few times — following the cordial talks with Prime Minister Modi in Delhi, for example — the Hindu right wants a less censorious incumbent in the White House. Public prayers and weird voodoo rituals have been invoked to boost the chances of Donald Trump. The two have much in common. Mr Trump claims to speak for core American values, passing off contrived fear for nationalist fervour. In India, the Hindu right has laid claim to defining — rather, it has been allowed by a somnolent opposition to prescribe — what is nationalist and what isn’t. Someone’s stand on the Kashmiri uprising is the signal for praise or rebuke. They both hate Muslims. And, as Mr Trump’s aversion of Latinos expands his arena of nurtured prejudices the Hindu right targets the tribal communities of the northeast. Hindtuva goons, raised on political patronage, periodically bludgeon Manipuri and other people from the northeast in Delhi and elsewhere. Mr Trump’s veiled fear of African Americans mutates in India into physical assaults on students and visitors of dark complexion. As with Muslims and Dalits, African residents find it difficult to rent a house in Delhi. Trump and the Hindu right have a common ancestor: Adolf Hitler. As such, they are joined at the hip in their biases. There was a notable difference though. Golwalkar’s reference to non-Hindu people included Indian Christians. This should not deter any alliance of two utterly right-wing demagogues. After all, Golwakar’s praise of Germany’s treatment of Jews didn’t deter his followers from bonding with right-wing leaders in Israel. The tale’s uncanny similarities to the current election, with demagogue Windrip pandering to the electorate’s basest instincts, inspired Berkeley Rep to adapt the novel into a new play that opens the company’s season on Friday, Sept. 30. “I Googled ‘it can’t happen here,’ thinking, is that a thing?” says Peterson, who also directs the production. “Then we read that it had a theatrical history.” They had unwittingly dusted off an 80-year-old exemplar of political performance. But “It Can’t Happen Here,” a cautionary tale about the rise of fascism through the American democratic process, was a best-seller in an era when Mussolini led Italy and Hitler was consolidating power in Germany. The complacent American populace is represented by protagonist Doremus Jessup, a Vermont newspaperman who realizes too late that it can, indeed, happen here. Capitalizing on the book’s popularity, the Federal Theatre Project, an endeavor of the Works Progress Administration, commissioned Lewis and screenwriter John C. Moffitt to adapt it for the stage. And in a stroke of ambition not seen before or since, it premiered in 22 theaters, across 18 states, on Oct. 27, 1936. Each locale interpreted the script in its own way, including a San Francisco version peppered with air-raid sound effects, Yiddish adaptations in New York and Los Angeles, an African American version in Seattle, and a Spanish translation in Tampa, Fla. (Lewis himself did a turn as Jessup in a Massachusetts summer-stock run in 1938.) Along with providing theater professionals with several months of desperately needed work, the productions entertained more than 500,000 people nationwide and doubled as antifascist propaganda. Chuck Todd: So let me jump to Pakistan. The Pakistan prime minister on Thursday, here is the headline in the front page of the international news in Karachi, “Trump says ready to play role in resolution of issues.” So let me ask you, is he offering to mediate border disputes? The pri– I guess Pakistan wanted to imply that, that he was offering to mediate border disputes between Pakistan and India. Is that what he was trying to say? Pence: –the president-elect recognises that. And making sure that, that they know that when this administration takes office, that we intend to be fully engaged in the region and fully engaged with both nations to advance peace and security. Todd: To be a mediator in deciding Kashmir? Pence: Well, I think, I think, I think in president-elect Donald Trump you’ve got someone who, who is prepared to advance America’s interests here at home, to rebuild this economy, to fight for American jobs. But I think you’re also going to see an energetic leadership in the world, prepared to engage and to look for ways that he can bring those extraordinary deal-making skills to bear on lessening tensions and solving problems in the world. San Francisco based Cloudcade has announced it will invest $6 million to set up a game development studio in Lahore, Pakistan, according to Venturebeat. The Lahore studio will be led by Ammar Zaeem, cofounder of Pakistan’s mobile game studio Caramel Tech which already has a team of 50 engineers. The move is a big investment into Pakistan as a tech hub, and it shows how the game business is expanding around the globe. 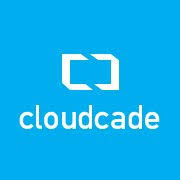 Founded by Di Huang in 2013, Cloudcade is known for its popular multiplayer game "Shop Heroes" that pits players against each other in a competition to create the best shop they can. If a player can make a better store and perform more tasks than his or her rivals, he or she wins. The game is available on the Apple iOS App Store, Google Play, Samsung Galaxy Store, Amazon, Kongregate, and Facebook. It is now also supported on the Apple Watch. 43.5% of Indians, the highest percentage in the world, say they do not want to have a neighbor of a different race, according to a Washington Post report based on World's Values Survey. About Pakistan, the report says that "although the country has a number of factors that coincide with racial intolerance – sectarian violence, its location in the least-tolerant region of the world, low economic and human development indices – only 6.5 percent of Pakistanis objected to a neighbor of a different race. This would appear to suggest Pakistanis are more racially tolerant than even the Germans or the Dutch". Squadron Leader Hasan Siddiqui of Pakistan Air Force (PAF), flying a Pakistan-made JF-17 Block 2 serial 15-201 fighter jet, shot down Wing Commander Abhinandan Varthaman of Indian Air Force (IAF) flying a Russia made MiG 21. Abhinandan was captured by Pakistan last week. The news has boosted the stock price of CAC (Chengdu Aircraft Corporation) which jointly developed JF-17 Thunder with Pakistan Aeronautical Complex (PAC). 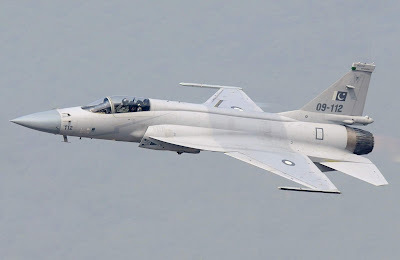 The development of JF-17, a modern highly capable and relatively inexpensive fighter jet, is the crowning achievement to-date of the Pakistan-China defense production cooperation. It's being deployed by Pakistan Air Force with Pakistan Aeronautical Complex (PAC). The latest version is capable of launching a variety of nuclear and conventional weapons ranging from smart bombs and air-launched cruise missile Raad to anti-ship missiles. Chicken More Affordable Than Daal in Pakistan?